I wrote a document about how I create puzzles. It became too large and I stopped working on it. This post is a small excerpt because I find I need to explain my definition of these two terms. For the record, there are many legit types of puzzles which I personally don’t enjoy, but that doesn’t make them bad puzzles. My personal preference shouldn’t cause anyone to eschew one type of puzzle for another! I love clever puzzles, but more importantly, I seek the coveted “Aha!” moment. When I create puzzles, this is one of my goals! I want the player to fist bump the universe when they finally figure out the answer. 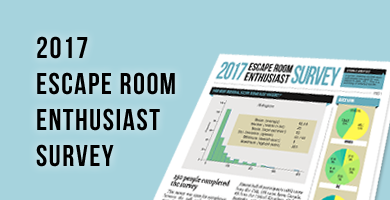 “Aha!” Moment – When you finally get the flash of inspiration that helps you solve a puzzle. This is followed by extreme satisfaction of how clever you are. During the “Aha!” stage, you don’t know what to do with the puzzle. You haven’t figured it out. You may have all the information but can’t see how they connect. No amount of hard work will help you solve the “Aha!” stage. It requires an uncommon insight to arrive at the solution. You may have to correlate objects and ideas to arrive at the answer. Some label it as a Lateral Thinking puzzle. Examples: A riddle, figuring out a pattern or a sequence, connecting the relationship between two unrelated objects. The process stage could probably be done by a computer. You know what to do, you just have to put in the work to complete it. Upon completion, it may give you a sense of pride for a job well done. Examples would be jigsaw puzzles, math problems, sudoku puzzles, mazes, basic ciphers, shape algebra, logic deduction problems, searching for hidden objects, brute-forcing a combination on a lock, anything that requires a process to complete. When you first see a sudoku, you may have no idea what to do. Then you learn there are rules to follow, and when you follow those rules, you will, hopefully, solve the sudoku. Same thing with a logic problem. 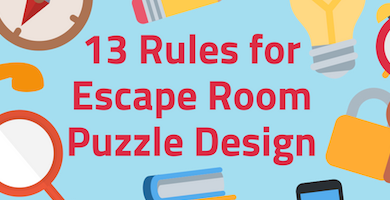 The rules are given to you and you need to follow the rules to finish the puzzle. In a Process puzzle, you have the rules to complete the puzzle. This is logical deduction. This is why a computer should be able to do a process puzzle: you give it the rules. In an Aha! puzzle, you need to figure out what those rules are! This is logical induction and much harder to program on a computer. When you’re new to puzzles, there is a range of possibilities on how to solve them. Everything is Aha! (Except searching). When you’ve done a number of process puzzles, you don’t need to figure out the ‘How’ anymore. It just needs to get done. (Especially searching). Let me be clear, process puzzles aren’t bad. They can be badly executed, but they aren’t evil in of themselves! They can be immensely satisfying! However, when you solve a sudoku puzzle, you congratulate yourself on being smart. It’s not the puzzle that was ‘clever’. But when you find a good “Aha!” puzzle, you feel an urge to mate with its designer. I used to separate puzzles and Tasks, a task being something as simple as unscrewing screws on a vent. However, there were some puzzles that felt like tasks to me: little solving was done and I was going through the motions. Thus the distinction to further delineate puzzles. Furthermore, some tasks may require an Aha! correlation. Imagine you find an item early in the game, like a pile of coins, and then later on you find the vent to unscrew. The coins from earlier can unscrew the vent! Happens in adventure games all the time. 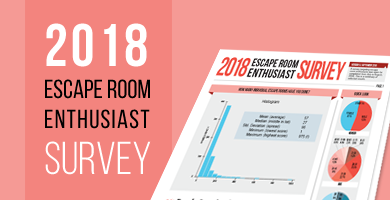 For the most part, escape rooms tend to have Process Puzzles and Tasks with little Aha! stages to them. They are easier to create, easier to gauge success rate, and easier to estimate solve time. However a room with nothing but process puzzles gets tedious after awhile. Ever get close to the end of a room only to discover make-work, time-sink project masquerading as a fun puzzle? Ugh. Conversely, a room that requires nothing but insight may be too difficult and/or less inclusive. Staring at a puzzle for five minutes with no clue what to do is demotivating. Starting off with some process puzzles to get the gears turning eases players into the game. In my mind, a room that has one or two great Aha! puzzles and clever Process puzzles would be great! Of course, there’s far more to puzzle design than the type of puzzle. Hopefully someone else writes a blog post about that. 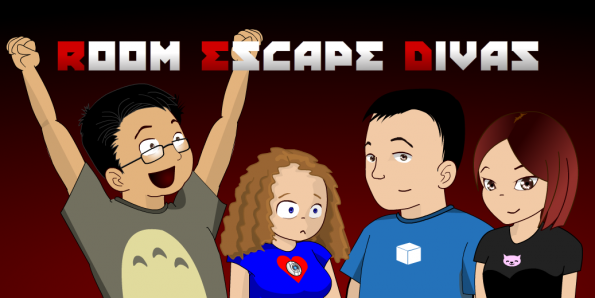 By the way, I do discuss this topic with Manda in our Room Escape Divas Podcast. Take a listen if you have an hour to spare. Note: I have made a slight change to this post. I used to separate Aha! and Process as different puzzle types, however, it was more accurate to define a puzzle having both these aspects.